Hoodline is an online news publication that covers the issues, people, community organizations and local businesses that make up San Francisco neighborhoods. The following article is by Shane Downing and was first published on October 26, 2016. The San Francisco Law Collective. Back in 1970, Paul Harris and Stan Zaks were part of a new generation of law students. Coming out of the anti-war and civil rights movements, the two Jewish lawyers, friends since junior high in Los Angeles, set up a multi-racial law collective in San Francisco’s Mission District. Their intention was to represent the neighborhood’s diverse—yet marginalized—community groups. A law collective meant that lawyers, secretaries, and legal workers were all equal partners: workers received equal salaries and had equal decision-making power. 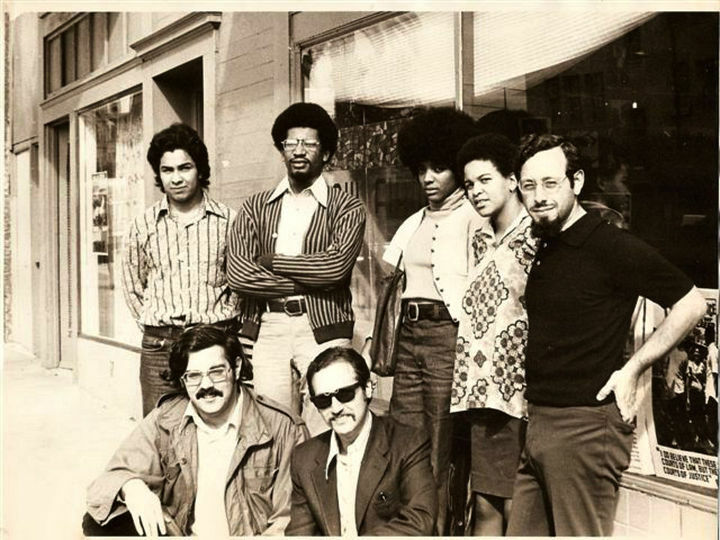 The SF Law Collective in front of its 18th and Dolores storefront (1973). “In 1970, the Mission was in the midst of intense organizing,” said Harris. Neighborhood legal aid offices in the city weren’t allowed to take political or criminal cases, he said, "so there were all of these multi-racial groups that needed help, and no lawyers in the neighborhood.” Within the first six months of opening its doors, the collective was representing five community groups. Harris and Zaks hired their first two legal workers from the community. One of them was Bernadette Aguilar, who grew up in the Mission. At the time, Aguilar was working with Latin Americans United for Education, organizing to help Mission kids go to college. 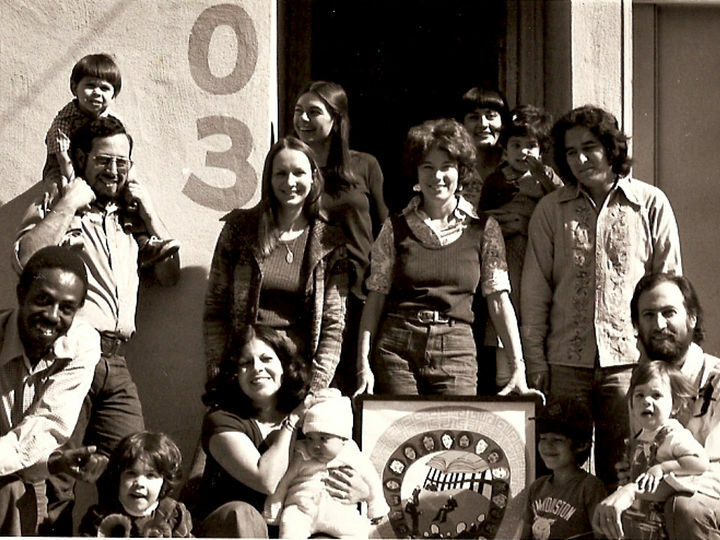 Members of the collective standing on the corner of 18th and Dolores (1971). 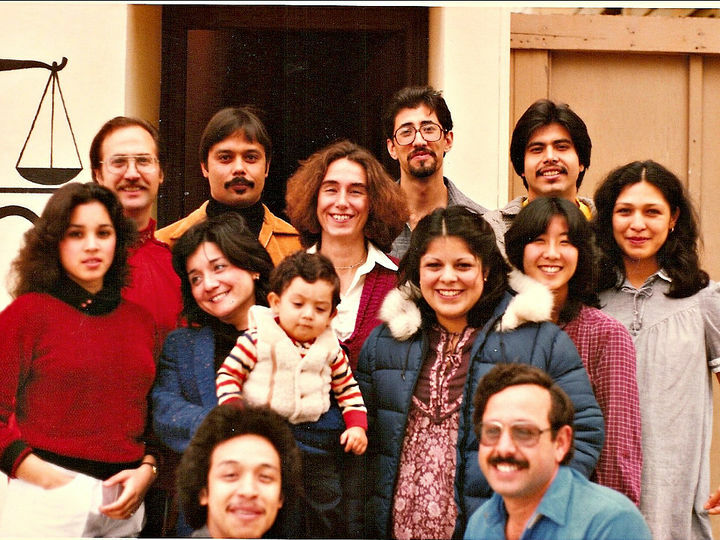 According to both Aguilar and Harris, there was a lot of tension between the Mission's residents and the SFPD during the collective's '70s heyday. 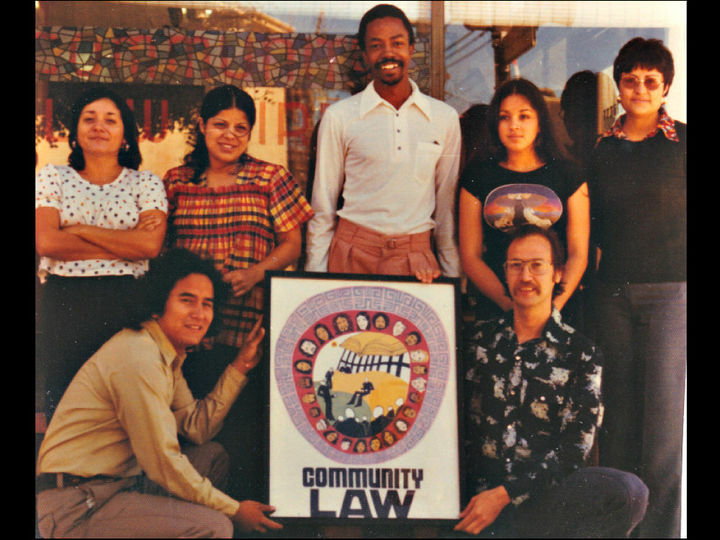 The collective took on many police brutality cases, but they also represented groups like bilingual newspaper El Tecolote, the Native American Center, the People’s Health Clinic, and Los Siete de La Raza. “The whole concept was to be the attorney for community groups, so that the community groups could build their power,” said Harris. 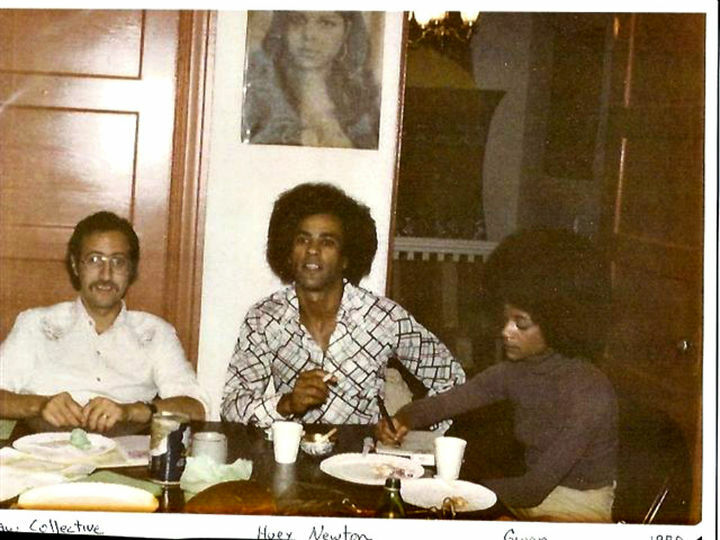 Black Panther leader Huey Newton and his wife, Gwen, visiting Paul Harris at the Law Collective's office. The principle was simple: the collective made itself freely available to community groups, under the condition that when members of those groups got into car accidents or had their houses burn down, they had to bring those cases to the law collective—and pay. 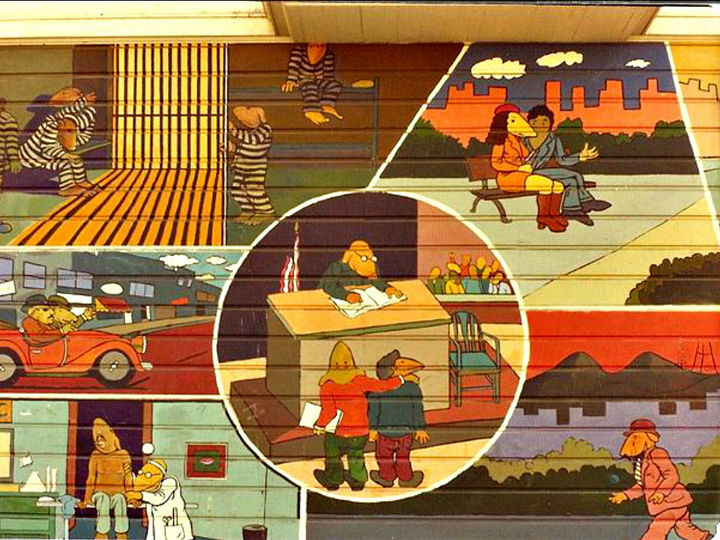 The Mission's second mural, painted by Michael Rios, on the side of the neighborhood's legal services building (1970-71). The collective's biggest challenge, Harris said, was building a "truly" multiracial law firm. There were so few people of color coming out of law school at the time, he said, and only a small percentage of them wanted to work in a collective. “It wasn’t affirmative action,” said Harris. “it was our commitment to building a multiracial firm that would better serve the community.” When the collective disbanded after 16 years, four out of its six permanent members were people of color. When asked what kind of cases the law collective would take on today if it were still around, Harris listed demonstration, immigration, and landlord-tenant cases. The collective, pictured in 1980. The Law Collective came to an end in 1986 because of a number of factors, Harris said, including personal health issues, members wanting to go their own ways, and the nation’s economy. Regardless, Harris, who was named one of the best criminal lawyers in the country three times by Best Lawyers in America, is proud of what he and his peers were able to accomplish at the San Francisco Law Collective. “We prided ourselves on doing good legal work," he said. "Those 16 years practicing in an office with equality between people of all races that represented the people of the community was the most rewarding experience of my life."